1.1 Vivid Sydney is well-known for strolling people from different parts of Australia and the world along the Circular Quay. This is known as the Vivid Light Walk. 1.1.1 What is a Vivid Light Walk? 1.1.2 What time do the Vivid Lights come on? 1.1.3 What time do Vivid Lights turn off? 1.1.4 Is Vivid Light Walk free? 1.1.5 What will I see on the Vivid Light Walk? 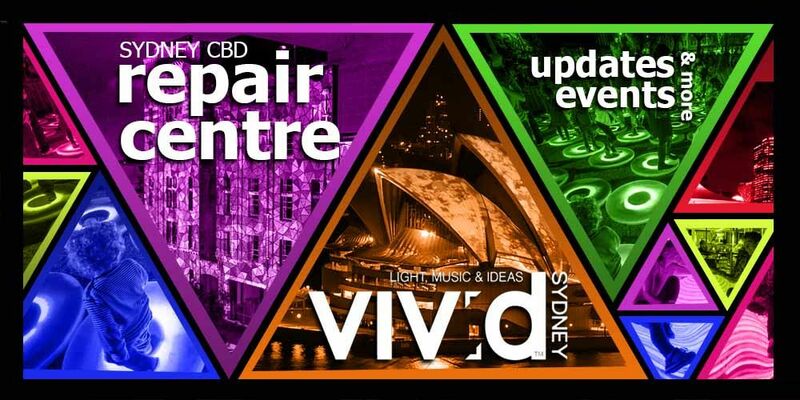 1.1.5.20 Visit Sydney CBD Repair Centre for your smartphone repair needs! Vivid Sydney is well-known for strolling people from different parts of Australia and the world along the Circular Quay. This is known as the Vivid Light Walk. What is a Vivid Light Walk? Vivid Light Walk is comprised of more than 60 spectacular light art installations, illuminations and mesmerizing 3D-mapped projections on building’s facades. This is quite a site that lights up Sydney’s harbours. Conveniently located along the shores of the harbour, Vivid Light Walk includes the attractions on the Sydney Opera House, Circular Quay, The Rocks, Campbells Cove and Walsh Bay. What time do the Vivid Lights come on? On average Vivid Lights from different precincts open as early as 5:30 PM, but on the Vivid Light Walk, it’s 6 PM. What time do Vivid Lights turn off? Vivid Light Walk can last up to beyond midnight. Is Vivid Light Walk free? YES! There’s plenty of time you can spend on different places. Just enjoy the Vivid Sydney light show and you’ll be golden. What will I see on the Vivid Light Walk? Here’s a simple list for you, feel free to check the Vivid Lights map. Put yourself into the picture where light and reflection combine to create a surreal space that stretches into infinity. This is an interactive light sculpture with rods of colour that you can manipulate into changing patterns. Here, you can dance, jump, wave or spin your way through a vaulted tunnel of changing colours. A world of colourful creatures beckons from the facade of Customs House. This one is really amazing. An attraction that boasts a 10-metre-high translucent tower pulsing with light looks fragile yet commanding. It looks precarious but it’s safe; climb in and find out. Molecules appear in a spiraling column at DNA, shifting shape and colour as you move around the sculpture. The one that looks like an old-style rocket ship rising 15 metres into the darkness and docked with its own light tower. Enter the base and ‘take off’ into a kaleidoscopic world of light, mirrors and sound. Friends, lovers and couples can declare their love for each other from a raised platform at I Love You where an illuminated ‘Love-OMetre’ pulses in the shape of a giant heart. Watch in awe as the familiar shape of the Museum of Contemporary Art Australia is transformed into an artist’s canvas with 3D-mapped building projections and a palette of rich colours. Get on board an imaginary vessel at Cadmans Cottage and venture into The Rocks where narrow laneways, heritage architecture and leafy streets create the perfect backdrop for the Light Walk. Offers a fun way to interact with anartificial brain; just approach the huge transparent cube filled with white balls to see how. An interactive gyroscope surveys the landscape at DODECA where luminous geometric shapes swirl in the darkness, drawing you in to its ethereal sphere. This exhibition presents a series of light activations by Sydney’s original light artist Roger Foley (aka Ellis D Fogg), tracking the development of thelightshow in Australia. It’s a fascinating and timely reminder of how light art has evolved over the past 50 years. A series of waterside installations adorn the foreshore of Campbells Cove, also one of the best vantage points for viewing the Lighting of the Sails. The ‘i’ generation will feel at home with PTOLEMi where sound, video, graphics, LED and interactive technology come together in a symphony of light. Nearby, a multi-sensory experience awaits in Vision^ (reflection); crystalline illuminations and projections will bring back memories of a favourite childhood toy, the kaleidoscope. From Hickson Road Reserve, look up to the mighty steel arch of the Sydney Harbour Bridge, illuminated on the eastern side for the first time as part of Dress Circle. One hundred carbon-fibre ‘rods of light’ swing gently. A heartwarming tribute to the traditional owners of the lands on which Vivid Sydney is taking place, telling their story through animations, graphics, music and dance. Step into the mysterious interior of Infinity Box, where a large and unassuming structure invites discovery and adventure.